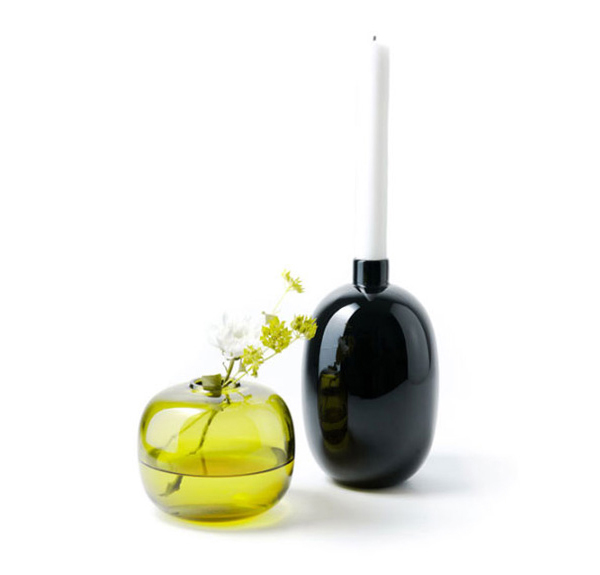 Combining the cultural aspects together in one design Luca Nichetto and Pascale Cottard Olsson have created a colorful and beautiful collection of candle holders and vases called Les Poupées. Les Poupées is not simply a collection of vessels. Created by Luca Nichetto and Pascale Cottard Olsson the collection was designed to capture the different cultures. Translating as “dolls” from French Les Poupées was inspired by various cultures. Drawing inspiration from Finnish, Italian and Japanese design tradition, Nichetto cites the simplicity and purity of the Finnish artist and designer Timo Sarpaneva, as well as the combination of colors and materials used in Italian architect Ettore Sottsass well known totem vessels, as two influencing sources. The Japanese wooden dolls, also called Kokeshi, has also served as an influence for les Poupées. 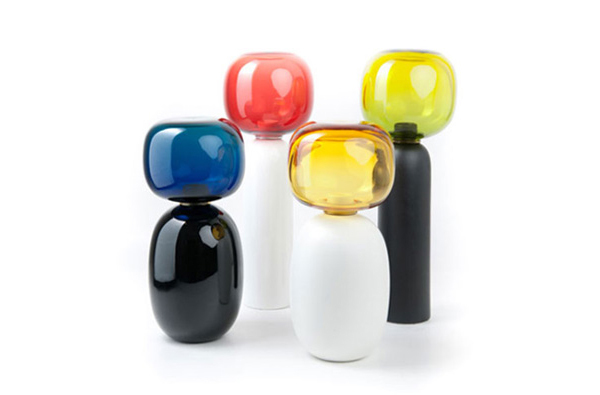 Consisting of a ceramic candle holder and a rounded colorful glass vase Les Poupées quite remind the Kokeshi dolls. The vessels are taken apart to be used as a candle holder and a vase. Beautiful! Presented at the Stockholm Design Week 2012 Les Poupées collection exhibition can be seen at Hallwyl Museum in Stockholm till 4th of March.